What’s more, they also got Windows 98 and Windows 3.1 working too! And these operating systems actually boot up properly! But to summarise, you put some files into the Retroarch folder. You then run the homebrew app, choose the version and well, that’s it. Just keep in mind that this only works on the New Nintendo 3DS. It’s also likely not very usable for any practical purpose. pretty neat, not something I would need but I figured they get XP running on it instead. 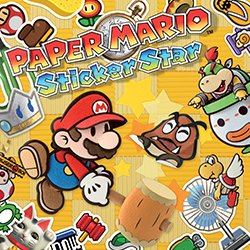 Stickerhax Lets Paper Mario Fans Run 3DS Homebrew!